New official game mat for Infinity miniature game just launched. 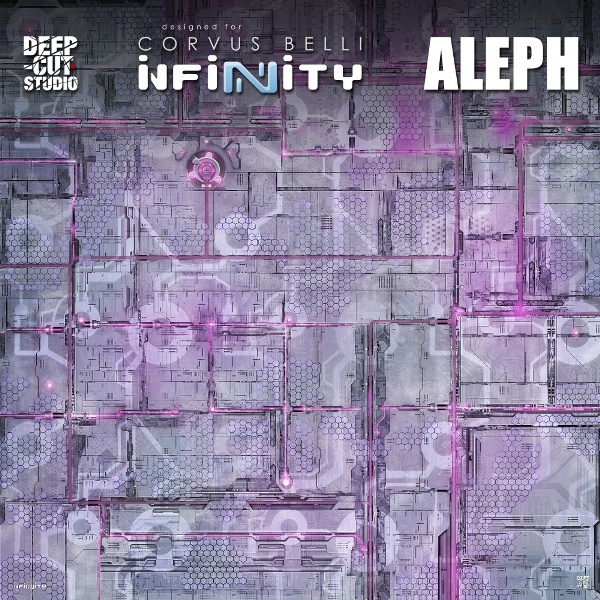 Aleph completed the initiation cycle, offering new ways to play your battles on a highly detailed and themed playmat. Welcome to the Machine! Join the greater cause at www.deepcutstudio.com – home of game mats.